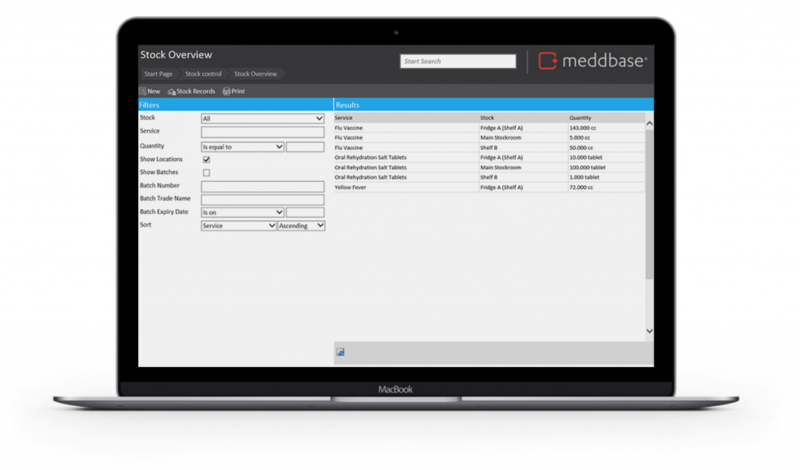 Meddbase comes complete with a fully integrated stock control system which has been designed around the specific needs of healthcare. Track your current stock levels, reserve stock as part of your appointment booking process and dispense against individual stock items or batch control. Completed with a bar code scanner integration for quick inventory management, Meddbase allows you to track and dispense stock against site, location and even local resource, such as a cupboard or a refrigerator. All stock is tracked against individual usage and costs giving you powerful analytics on appointment revenue and costs.